If you experience a serious cut or wound that requires stitches, FastMed Urgent Care is here for you. 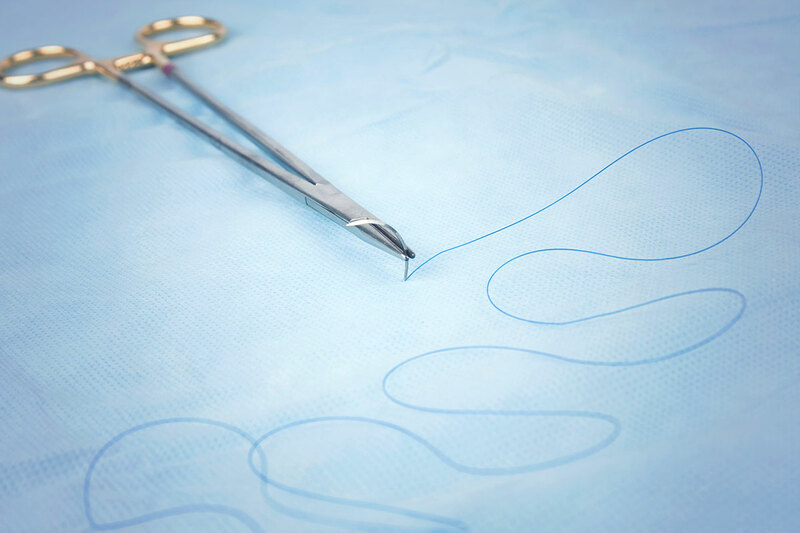 When done properly, stitching a wound will not only help prevent excess bleeding and facilitate healing, the sutures can also help to minimize scarring as your wound heals. At FastMed, we understand that cuts and lacerations don’t always happen during regularly scheduled office hours. For your convenience, we’re open extended hours 7 days a week, 365 days a year, holidays included. If you have a cut or laceration that you think may need stitches, the FastMed medical professionals can provide an evaluation and the care you need without the long wait for a conventional doctor’s appointment, or the expense of a hospital emergency room. What are sutures and stitches? Although sutures and stitches are often referred to as one and the same, they are actually two different things. Sutures are the threads or strands used to close a wound. “Stitches” refers to the actual process of closing the wound. Any cut on your neck should be evaluated by a healthcare professional. If blood is pouring or squirting from a wound, apply direct pressure with a clean cloth or towel. If you have applied direct pressure for 20 minutes and the wound is still bleeding, seek medical help immediately. When a cut leaves behind a loose flap of skin, it may require reattachment with stitches. If an object caused the cut or debris is stuck in the opening, your injury should be medically evaluated. Any cut longer than 1/3 inch or deeper than 1/4 inch should be checked by a doctor.